Apple may be building new headquarters that look like a spaceship, but Google is getting a goddamn airport! 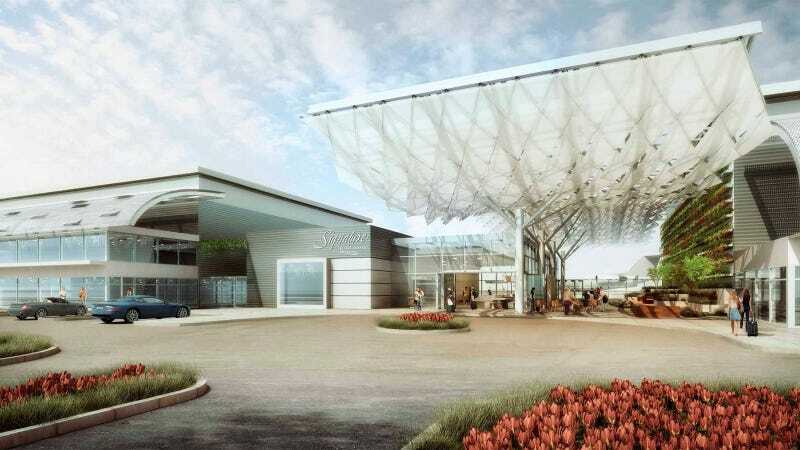 According to Mineta San Jose International Airport, Signature Aviation and Blue City Holdings are going to build a 29-acre private owned $82 million facility that will house Google's airplane fleet, among other private jets, I would suppose. It will include an executive terminal, aircraft servicing facilities, and hangars and ramp space for private jets as large as the Boeing 737 and 767.